These black velvet 2-ply paper napkins will add a dark element to the Halloween party table. Black color coordinates with most party themes. 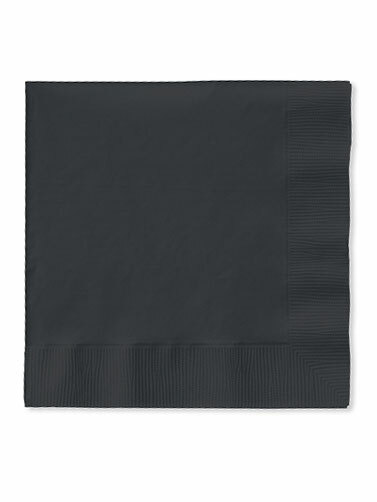 Black Luncheon Napkins measure 6.5"H 6.5"W. 50 Ct.